The location for the new Tiki Bar coming to Midtown Village at 13th and Drury Streets. A tiki bar is coming to Midtown Village and it's literally just called Tiki. 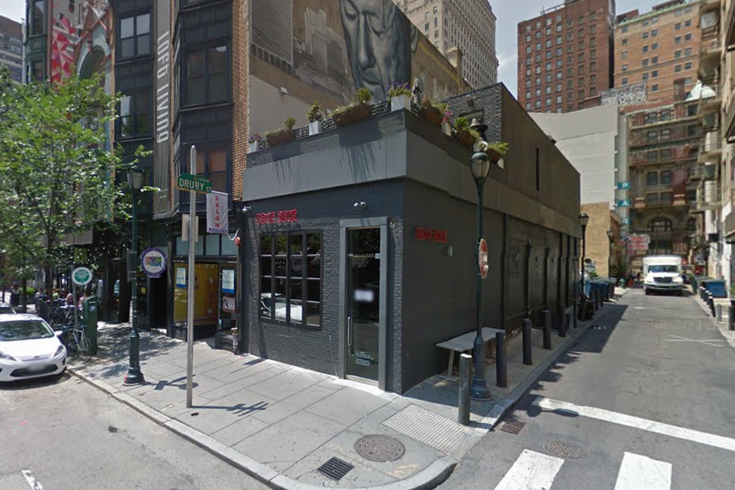 As Foobooz reports, Jason Evenchik (of Vintage, Time, Garage and Heritage) is teaming up with Tim Heuisler (GM at Time) to bring the spot to the corner of 13th and Drury streets. Tiki will be a drink focused, casual bar offering both classic tiki drinks and Heuisler’s take on “new tiki.” A small Pacific Rim-inspired food menu will accompany the boozy drinks. Expect noodles, dumplings and meat on sticks. The vibe will be helped along by a large tiki-inspired mural and a mix of surf rock and hip-hop. The bar, which Evenchik has wanted to open for years, will also make use of the building's deck. They're hoping to open by mid-May, just in time for outdoor-drinking-season.